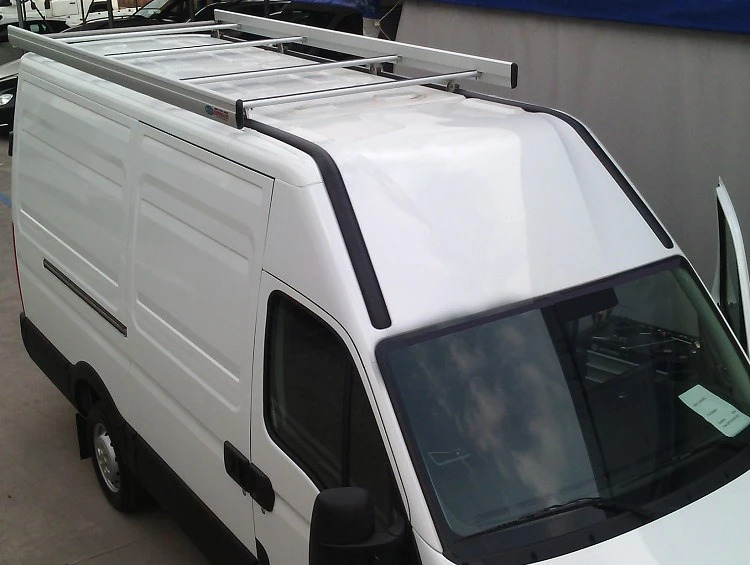 The roof bars for mounting on the Iveco Daily are patented with the exclusive aerodynamic Ultrasilent4 design that drastically reduces drag, noise and vibration while on the road. 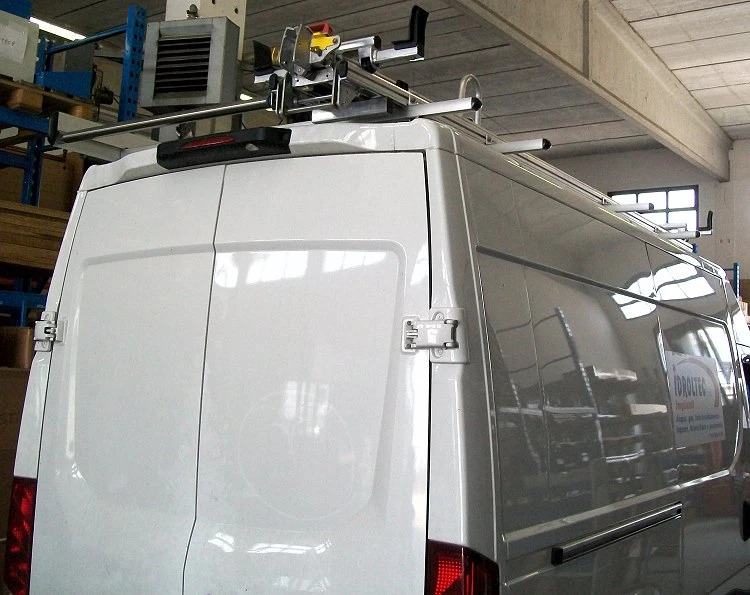 The feet are constructed in stainless steel and can be quicklyattach and removed, making it easy to move your roof rack from one van to another. Rubber stripping protects cargo while loading and unloading. 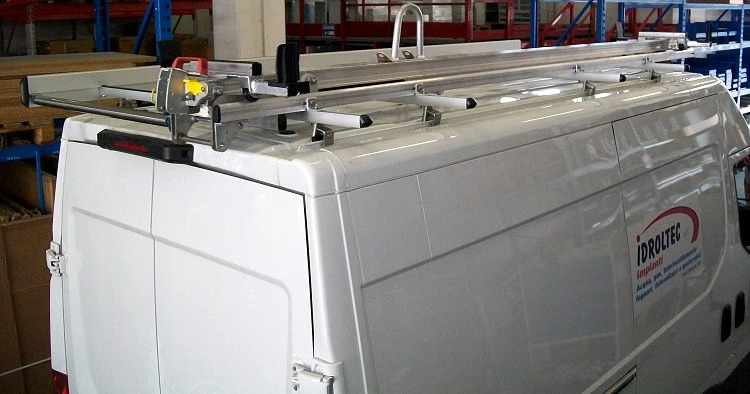 A complete Daily roof rack comes with stainless steel rear loading roller to make loading easier, faster – while avoiding damage to the van body. The side rails keep cargo in place. Ladder racks are also available, making loading and unloading effortless. The racks come in two versions: model 1 – hydraulic assisted and model 2 – up-and-over. On the Syncro site, you'll also find Daily conversion solutions and Daily floor and wall paneling. 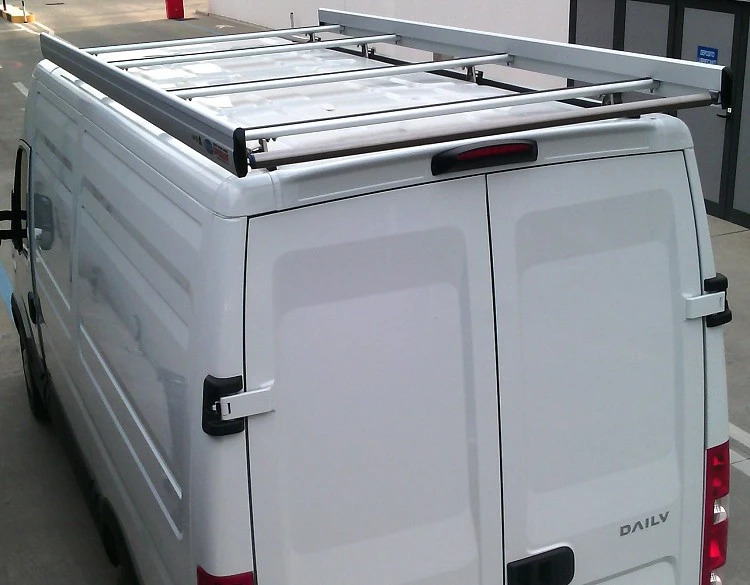 Roof bars and utility racks for the Iveco Daily with the exclusive Supersilent design – robust, modular and super silent.